WEEE-RecycleIT are entirely professional about their computer and IT collection service. They do not charge for collections. I was very happy and relieved to see them remove all the IT clutter which has been building up over the years. 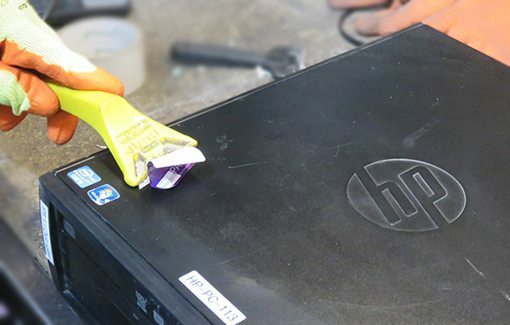 They also wipe every hard disk drive properly to make sure that no customer data can be found. Well organised set up, very efficient and punctual – a key element in a school with playtimes, lunchtimes etc! The chap was friendly and helpful and very informative regarding the use and destination of our items! Thank you we shall always use you from now on. I have used WEEE-RecycleIT for the first time and have swift communication and a fast prompt collection. Efficient, polite and courteous service . 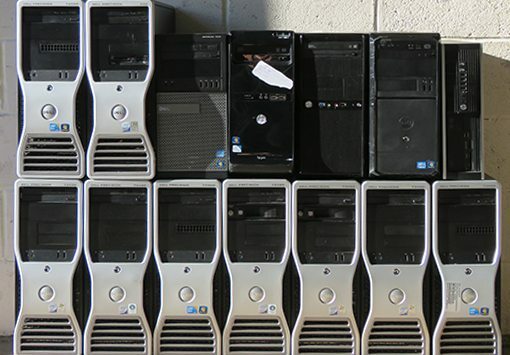 As an IT support company, we are constantly needing to dispose of a wide range of IT equipment. WEEE Recycle IT has made this a completely painless process. They are exactly what we were looking for: quick, reliable and free! WEEE-RecycleIT offers a very valuable recycling service, reliable, consistent and free of charge. I fully recommend them. We are very pleased with the efficient recycling service you offer. We have found your company very helpful and a valuable asset in our continued commitment to recycling and disposing of electrical equipment in a responsible manner. 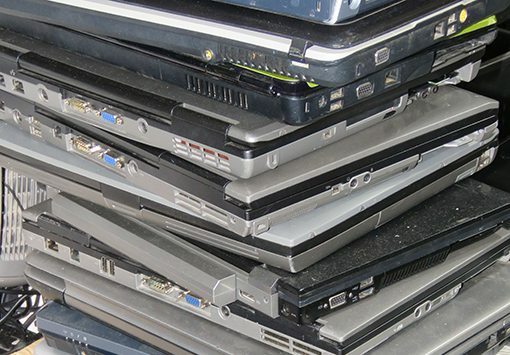 We have to be very careful of data provided to us by clients and knowing that we can rely on WEEE-RecycleIT to cleanse redundant machines and where possible recycle them is very helpful. We have so far only had one collection but all went smoothly and we were very pleased with your service. We have been using WEEE-RecycleIT now for a while and have always been extremely happy with their friendly efficient service. They are doing a fantastic job. The communications are A+. They are always there when we book our collection, which can be a bind for them as we are out of the route to most of their collections. Carry on the good work. Can I take this opportunity to thank you for all your assistance with helping us dispose of our WEEE-IT this year. The speedy response to the additional collection was greatly appreciated. I have been using WEEE-RecycleIT to dispose of our IT equipment for the last 6 months. I have found them to be extremely professional and reliable. They are flexible in arranging times and dates to pick up equipment; this has helped us enormously during a recent refresh programme. 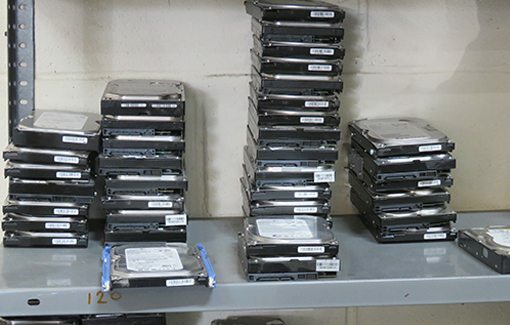 They take everything we give them and do not try to “Cherry Pick” only the items they want and I have confidence in their processes for disposal, especially related to hard drives. What a brilliant service, free of charge and helping others and the planet. We are very impressed with the service you provide and have used you for a good few years now. Very much appreciated. 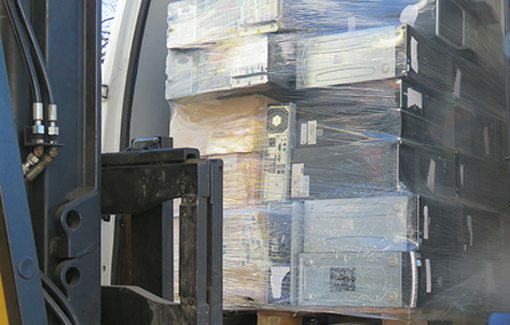 A growing pile of computer tat was forcing us to use more and more storage space in our office – all because we were not sure how best to legally dispose of it all. The guys at WEEE-RecycleIT made it so easy I found myself wishing I’d used them so much sooner! I was suspicious because it was free – there must be a catch – but no, free meant really free and it was a great service. Not often you can say that! WEEE-RecycleIT offer a great service and are always willing to help. If you would like to discuss a quote for your IT Assets Call us or Email us or fill in the form below.